A secret memo granted broad rights to the FBI to share information gathered under the Foreign Intelligence Surveillance Act with foreign officials. Two-way exchange of information with foreign officials could allow the politicized targeting of Americans, since foreign nations aren’t obligated to uphold the U.S. Constitution. The efforts by the Justice Department to gather information on Trump aides repeatedly involved figures associated with foreign agencies. Foreign allies strongly opposed President Donald Trump declassifying information illuminating the investigation into Russian collusion. “The following underlined text will be inserted into the first sentence: ‘The FBI may disseminate FISA-acquired information concerning United States persons, which reasonably appears to be foreign intelligence information, is necessary to understand foreign intelligence information or assess its importance, or is evidence of a crime being disseminated for a law enforcement purpose, to foreign governments as follows,'” it says (emphasis theirs). 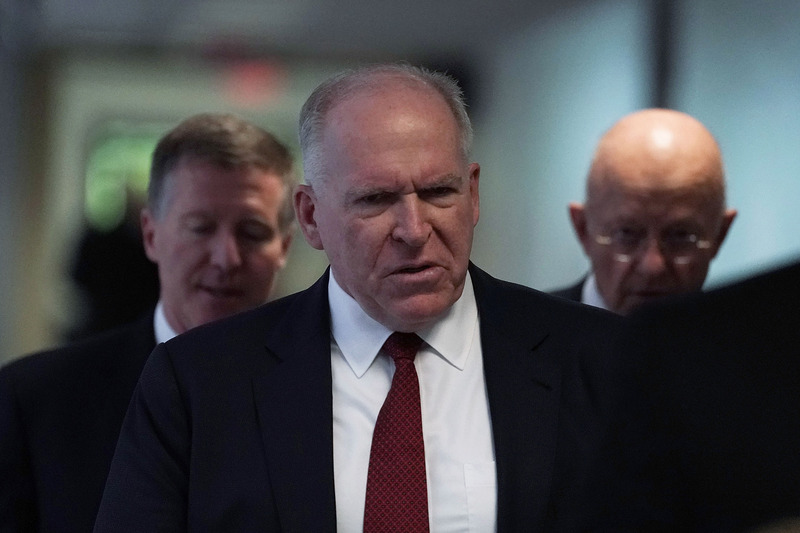 “There’s nothing they could obtain on American citizens that John Brennan or James Clapper couldn’t say ‘it helped me understand other intelligence,'” he continued, referring to the former directors of the CIA and of national intelligence, respectively. “[T]he Court finds that the Proposed FBI SMPs and the NCTC SMPs, implemented in the manner described in the April 23, 2012 Submission … satisfy the definitions of ‘minimization procedures,'” she wrote. The 21 pages of reasoning included does not discuss the implications of sharing information more widely with foreign governments. The motion itself also only spends a few of its 70 pages discussing the change related to foreign governments. Luke Rosiak, a Daily Caller News Foundation investigative reporter, is the author of the new book “Obstruction of Justice: How the Deep State Risked National Security to Protect the Democrats.” Follow Luke on Twitter. Send tips to luke@dailycallernewsfoundation.org.